Luxurious warm woodgrains and rich colors. Superb quality with custom-crafted appeal. Enduring strength and easy upkeep. Your windows are about to become even more exceptional – both inside and out. Our Forest Green exterior finish will enhance a variety of home designs, from casual to contemporary. 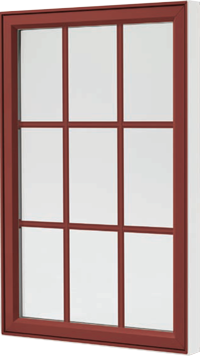 This eye-catching window in English Red offers a dramatic touch of color with a depth of visual appeal. For understated elegance, consider a neutral tone such as Architectural Bronze, shown here. 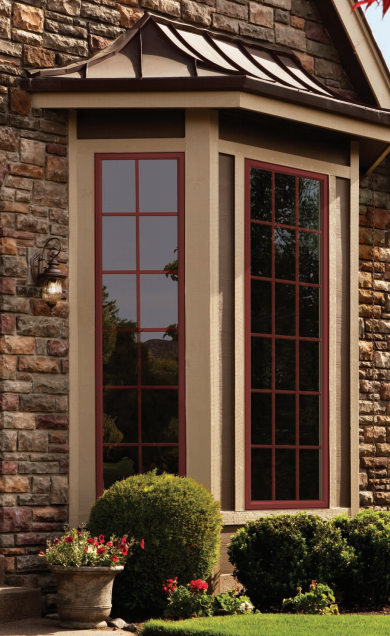 Elevate your home to a higher level of style and sophistication with our FrameWorks window and patio door finishes. This impressive palette features the distinctive beauty of rich hues and natural-looking woodgrains without the time-consuming maintenance of wood windows. Expertly crafted with state-of-the-art technology, FrameWorks’ highly weatherable and fade-resistant finish is exceptionally durable and easy to clean. It also allows you to enjoy rich hues and woodgrain beauty that previously were available only with wood windows. Beautiful, practical and strong, FrameWorks exterior finishes are performance-engineered to stand the test of time. 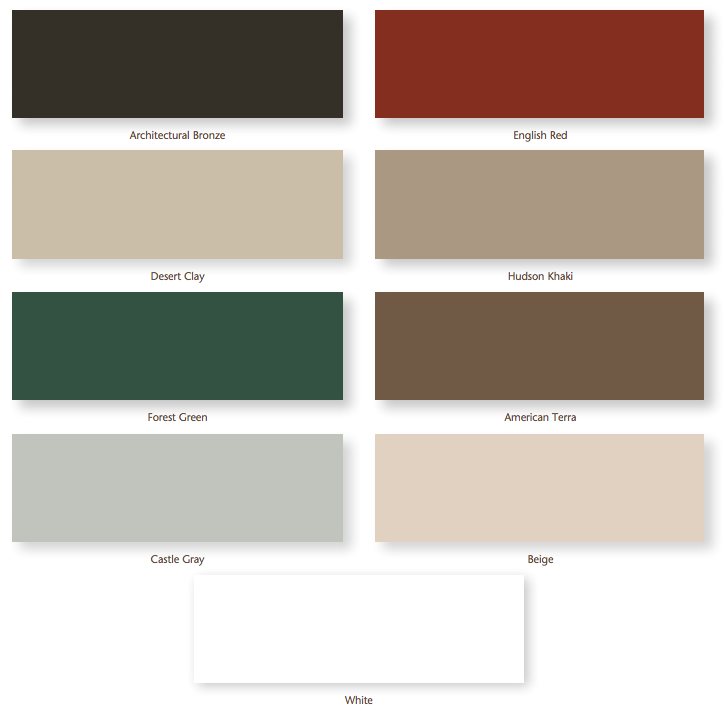 Our exterior color palette offers a wide variety of exciting design possibilities. Whether you prefer windows that command attention or beautifully blend in, FrameWorks lets you customize the appearance of your windows and patio doors while lending a distinctive touch of style and refinement to your home. And better yet, the premium-quality finish will maintain its attractive appearance with minimal upkeep. Our FrameWorks interior palette will change the way you think about windows. Not only must they have superior functionality – but a style that enhances your décor. 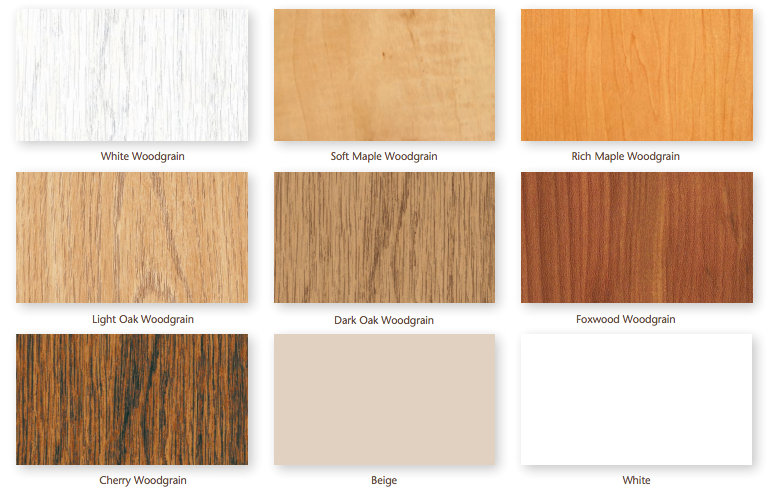 With elegant woodgrain finishes and classic hues, our versatile collection will inspire refreshing design options to beautifully complement your home. Ready to upfit your home with new windows? Contact us today for your free in-home estimate!